Osallistuminen Arkkitehtuurin päivän Uudet museot -osuuteen on ilmaista, ilmoittaudu tästä linkistä 30.1. mennessä. PÄIVITYS: Uudet museot -osuus on täynnä. Mahdollisia peruutuspaikkoja voi tiedustella osoitteesta sini.parikka@archinfo.fi. Tilaisuus striimataan, katso tapahtuman Facebook-sivu. Elokuvaesityksen liput ovat myynnissä DocPointin verkkokaupassa. Arkkitehtuurin päivän vieraana voit ostaa lipun erikoishinnalla 7,50 € (norm. 9 €). Käytä alennuskoodia DPROPO. Erikoishintaisia lippuja on rajoitetusti. PÄIVITYS: Arkkitehtuurin päivän lippukiintiö on täynnä, tarkista normaalihintaisten lippujen saatavuus DocPointin verkkokaupasta. Elokuvan jälkeiseen keskusteluun voi osallistua ilman elokuvalippua. Vuosittain 3. helmikuuta, Alvar Aallon syntymäpäivänä, vietettävän Arkkitehtuurin päivän järjestävät Arkkitehtuurin tiedotuskeskus Archinfo, Alvar Aalto -säätiö, Arkkitehtuurimuseo ja Suomen Arkkitehtiliitto SAFA. Kiitämme Arkkitehtuurin päivän 2019 yhteistyökumppaneita: DocPoint – Helsingin dokumenttielokuvafestivaali, Kiasma, Designmuseo ja Designmuseon ja Arkkitehtuurimuseon Ystävät DAMY ry. Philip Long has been in charge of the V&A Dundee since 2011. His appointment as director came when the museum was still in the early planning stages. Born in Edinburgh, Long initially trained as an artist and designer. As an acknowledged expert in Scottish art and design, Long has organised numerous exhibitions and written highly praised publications and articles, including on Charles Rennie Mackintosh, as well as on numerous contemporary artists and designers. Prior to joining the V&A, he was Senior Curator at the National Galleries of Scotland. 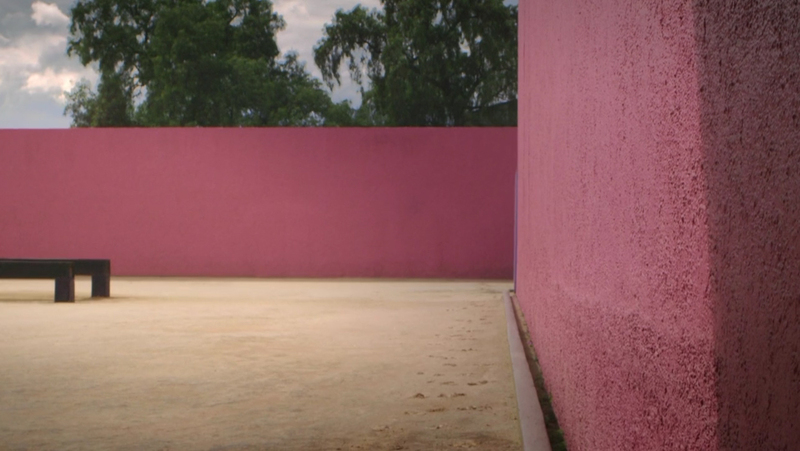 In 2007 Long was invited to curate Scotland’s national representation at the Venice Art Biennale and in 2016 and 2018 he was part of the selection panel for the British Pavilion at the Venice Architecture Biennale. 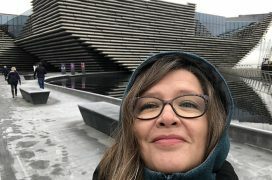 V&A Dundee is an international centre for design housed in a world-class building at the heart of Dundee’s waterfront in Scotland. It was designed by award-winning Japanese architects Kengo Kuma & Associates, following an international competition, and is Kuma’s first building in the UK. Kuma’s vision for V&A Dundee was that it will be a welcoming space for everyone to visit, enjoy and socialise in – a ’living room for the city’. 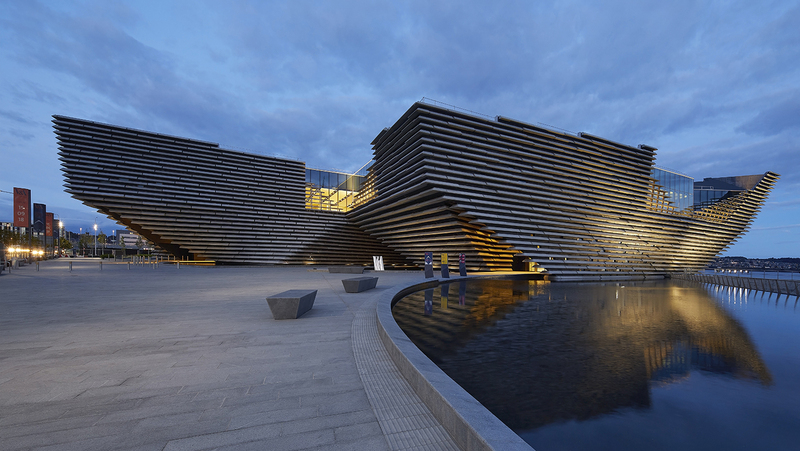 V&A Dundee is an impressive 8,000m² building, with 1,650m² of gallery space. It celebrates Scotland’s historic importance in design and hosts major exhibitions of international design. The target is to inspire and promote contemporary talent, help people understand their own and others’ cultural heritage and encourage design innovation for the future. Triin Ojari is art historian and critic, and since 2014 Director of the Museum of Estonian Architecture. Her research subjects have included 20th century modern architecture, housing and urban planning of the Soviet period, contemporary architecture and architectural criticism. In 2001–13 Ojari was Editor-in-Chief of the Estonian architectural review MAJA. Author of the books 21st Century House: New Estonian Residential Architecture (2007) and Positions. Articles on Architecture 1992–2011 (2012). 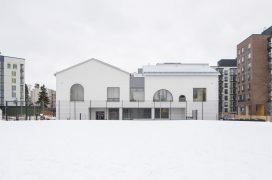 The Museum of Estonian Architecture was founded on January 1, 1991 – at a time of political anxiety that lasted for a little over six months more, until the restoration of Estonian independence. Since 1996 its permanent home has been the historical building of the Rotermann Salt Storage – one of Tallinn’s most outstanding examples of industrial architecture. 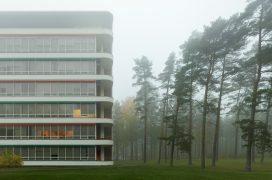 The Museum of Estonian Architecture focuses on collecting, researching, and displaying 20th-century and contemporary architecture. The Museum possesses a very good archive of drawings and design projects from the 1920s–30s as well as from the Soviet period, and also a photo archive and a constantly-expanding collection of models.